The Guild of Television Cameramen invites applications for membership from anyone employed as a television camera operator or an associated occupation. £65.00 per annum. Cameramen with at least three years' professional experience in any branch of television. £40.00 per annum. 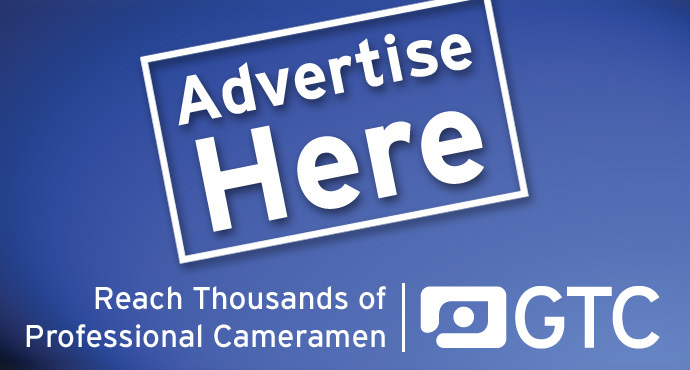 Cameramen with less than three years' professional experience in any branch of television. * The word 'professional' in these categories refers to cameramen who earn their living working in the television industry. £65.00 per annum. Those who are ineligible for any other category of membership but who, in the opinion of the Council, would further or promote the objectives of the Guild. *All non-broadcast applicants for Associate or Affiliate membership must have two existing Guild Members as sponsors to their application for membership. £20.00 per annum. Individuals attending a full or part-time course which is recognised by the Council as being appropriate. N.B. Membership will lapse on completion of the course. To continue membership, re-application will then be necessary under the normal criteria. £30 per annum. Existing members who have retired from full time employment. £65 per annum. Any college or establishment of Higher Education whose aims are compatible with the aims of the GTC. As a professional Guild with admission criteria, we do all we can to verify that applications for the various categories of membership are valid. The more information about your experience, reference contact details and/or GTC referee names you can give us at the time of making your application, the faster we will be able to process your application, so please do include as much relevant information as possible.